Our primary focus is to help you with your web presence. 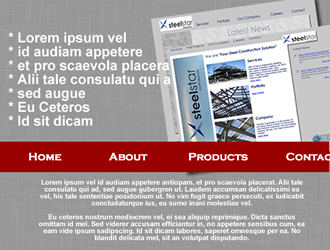 We will continue to work with you to develope your website, until we have a site that we'd be proud to call our own. If you already have a graphic designer, we are happy to partner with them to develope your website. You'll have full access to a test environment prior to moving your site live, so that only when your completely happy with the content, look and feel will your new site be published. If you don't have a graphic designer our creative team can work with you to create your website design. As part of this process, we will give you graphical IAD's (Interactive Application Design's) so that you have a complete understanding of what your site will look like before any development work is started. We also have a "flash" developer on hand if you'd really like to make your site zing. Check out some of their work here.